Home Reviews Is HTC’s Vive Pro Worth Buying? After introducing a wireless and stand-alone version of the virtual reality headset, Vive Focus, a few weeks ago, HTC pushes forward with the Vive Pro. 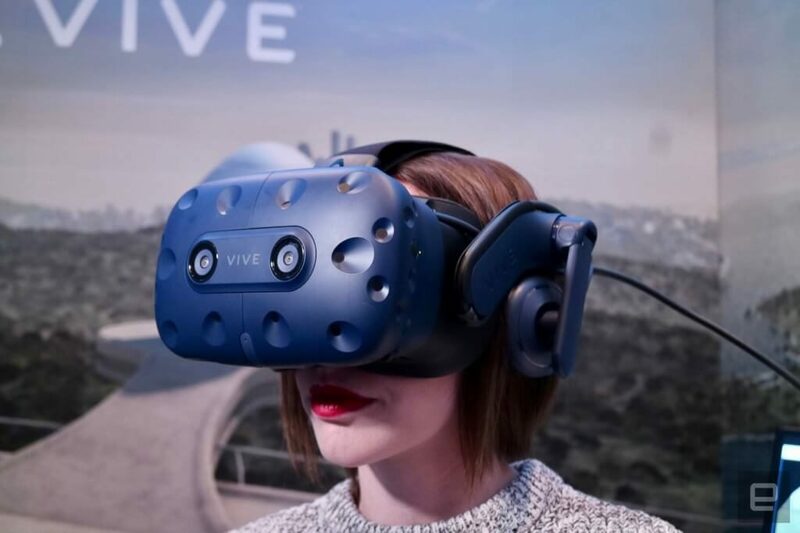 The HTC Vive Pro was unveiled at CES 2018 in Las Vegas, and is being represented as a considerable improvement over the original Vive. The new design corrects some perceived flaws in the make-up of the original Vive. With the advent of the HTC Vive Pro, those VR enthusiasts who already have the original Vive are wondering if they should spring for the new one, while those who’ve been waiting for the release of the Vive Pro to make their advent into the world of VR are wondering whether this is the time to make their move, and buy the Vive Pro. Let’s answer everyone’s questions by telling you what advantages – or disadvantages – the Vive Pro might have over the original Vive, and whether you should buy now. As the name implies, the Vive Pro is a new version of the original HTC headset, designed for VR enthusiasts and businesses. A headband for this new headset and a wireless module compatible with the classic Vive should come out a little later this year. How much better is better? The Vive Pro forges far ahead of the classic in terms of resolution, with each eye screen developing a resolution of 1440 by 1600. That gives a combined resolution of 2880 by 1600 pixels, which is far ahead of the classic Vive headset. This brings the resolution to 615 dpi, an increase that should allow a certain gain in display definition. Such an improvement also demands considerable processing power for a perfectly smooth experience. Optimal results can only be expected with a GTX 1080 or 1080 Ti graphics card. The original Vive could be blamed for lacking an integrated audio system. A user had to use his or her own headphones. The Vive Pro incorporates a set of headphones that provide for Hi-Res Audio, and which provide for immersive 3D sound. HTC has decided to integrate active noise reduction, for even more complete sound immersion. A ‘conversation’ mode nevertheless allows one to hear a person outside one’s ‘virtual world’ if necessary. What’s more, unlike various headsets with integrated headphones out there, these are detachable, so you could use your own if you wanted to. Not that you need to, as a rule – the integrated headphones deliver exceptional quality. Beyond the lower resolutions of the first Vive, we felt that it just wasn’t comfortable to wear. The Vive Pro has changed this by using a new arch system, both simpler to adjust and with better weight distribution. The foam padding on the face has also been changed, with the contact area increased by almost 25%, allowing for less pressure over a larger area. The light insulative capabilities of the headset have been improved to allow the user to be better immersed in the virtual world. For the moment, HTC has not focused too much on their possible utility. However, the new cameras would provide for not only better integration of the real world with the virtual world, but also allow the headset to be used in ‘augmented reality’, where the virtual world and the real world merge. The applications for professionals in innumerable fields are… well, innumerable. In addition to its new VR headset, HTC has lifted the veil on a fascinating new accessory. Since the Vive first came out, users have complained about how the cables that connect the headset to the PC get entangled in just about everything, including user’s legs. HTC’s new Wireless Adapter is compatible with the Vive Pro, and will finally allow the headset to be used wirelessly. It relies on Intel’s WiGig technology, putting the connection back on a 60 GHz frequency. The price is one thing that many purchasers might balk at, since it costs about 880 euros in Europe. The price in the US will be $799. Note that this price only covers the basic headset and the connectors and such. Just the basic package, in other words. The Vive Pro does not include controllers or base stations, which really do represent a significant extra cost, with a single controller costing 145 euros. And that’s roughly what the base stations cost as well, so if you add up the cost of the HTC Vive Pro with that of two controllers and two base stations, you see that the cost of getting an HTC Vive Pro operational is far too high. The Vive Pro is only cost effective if you already own the Vive, since the classic Vive’s base stations and controllers are compatible. As a matter of fact, if you’re set on buying a Vive Pro, the most economical way to get a Vive Pro operational, is to buy both it and the original Vive, which is considerably cheaper as of now. Then you can simply use the Vive’s controllers and base stations for the Pro. The Vive Pro is more of a stage in the evolution of the original Vive than a brand new avatar of the headset. 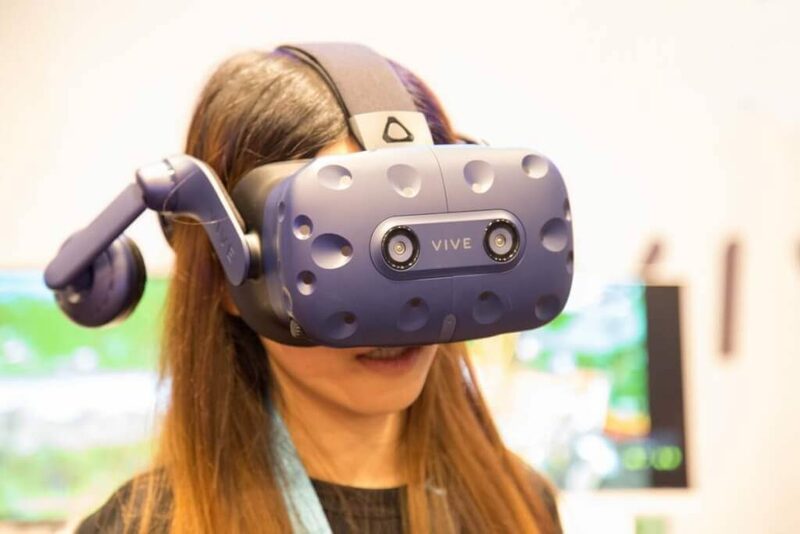 Nevertheless, the resolution of the new headset’s screens represents a seventy percent increase in definition compared to the resolution of the classic Vive. That’s both a good and a bad thing. It’s good, because the massive increase in resolution means levels of immersion and realism far beyond the classic Vive. However, the increase in resolution also means that the Vive Pro requires a proportionally more powerful PC, which should be planned for when purchasing the Vive Pro. Is the Vive Pro the ultimate gaming platform? HTC and Oculus are two opposing protagonists in the virtual reality market. 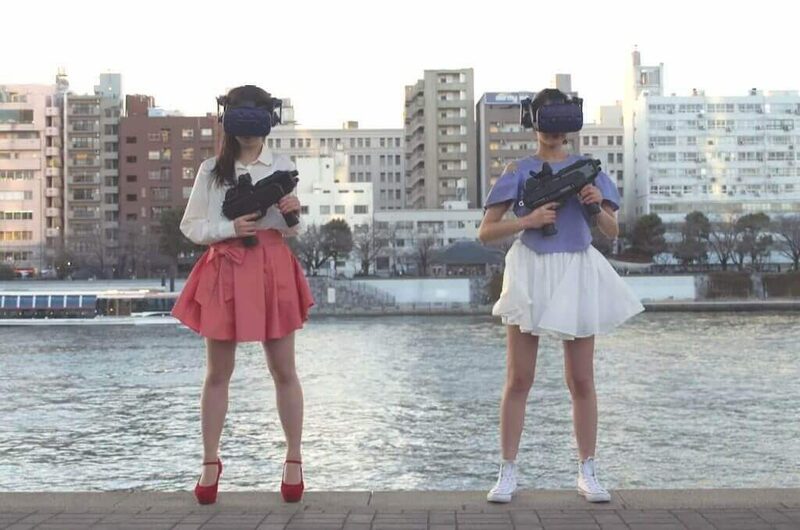 They fight to gain market share, yet partner in convincing the general public to interest themselves in VR. The Vive Pro could shift the gaming industry to favor the Vive, to the detriment of Oculus. 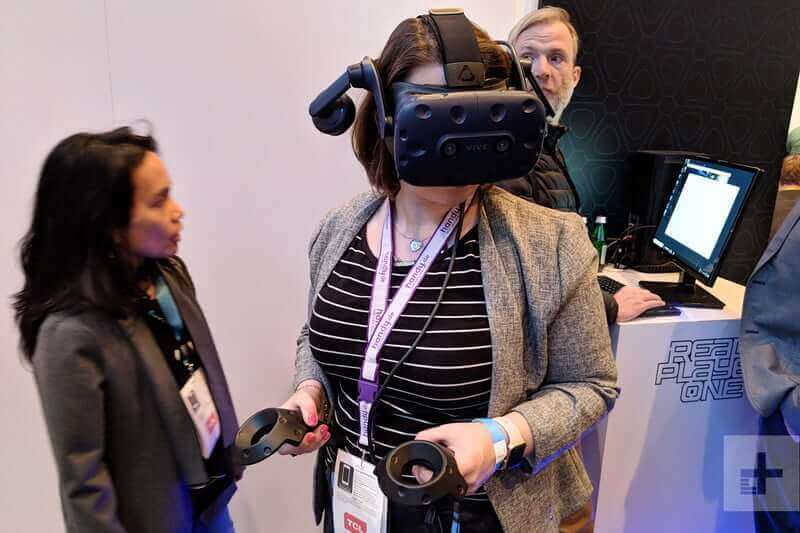 The diversification of Oculus, which served them well at once point, is now completely overwhelmed by the premium experience that HTC wants to offer. This could well make more and more developers shift to the HTC Vive Pro, so we can look forward to tons of titles, making the HTC Vive Pro a MUST BUY for any dedicated gamer. To buy… or not to buy? Buy it, of course… if you can afford it. If you have money to spare, buy the Vive Pro now. If you don’t have money to spare, wait till you can get your hands on a wireless adapter, and then buy the Vive Pro. It’s expensive for the price, but delivers a premium experience that sets a new bar in the VR industry, one you might not want to miss out on. Previous articleHow to Prevent VR Headset from Fogging Up? Next articleIs the Oculus Rift Worth Buying in 2018?